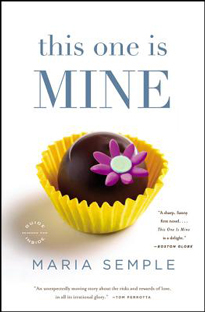 A former television producer and screenwriter, Maria Semple's first novel is called this one is MINE (2008). The book, writes the Seattle Post-Intelligencer, is "a sharp-witted look at having it all in LA and wanting more." 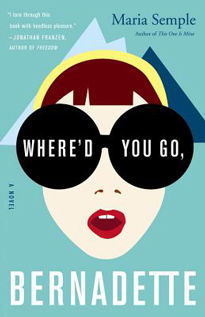 Semple followed up on her debut with her second book Where'd you go, Bernadette (2012). The novel, which pokes fun at Seattleites, quickly emerged as a national bestseller. Vogue magazine describes it as "delightfully droll.... Semple cuts a wry slice of a life - one that's populated by private school helicopter parents, obsessively eco-conscious neighbors, and green-juice swilling, TED-talking husbands - and one that's sharp enough to make us feel slightly relieved about not having to live anywhere quite so bucolic." Semple's television credits include Beverly Hills, 90210, Mad About You, Saturday Night Live, Arrested Development, Suddenly Susan, and Ellen. For more information on this author check http://www.mariasemple.com/ or http://en.wikipedia.org/wiki/Maria_Semple.